I am not sure if you are trolling or genuinely struggling with the concept. It is not me who is struggling. You claimed "Whatever they are called, under the Hague and Geneva international agreements (treaties) they are Illegal Combatants...." when I referenced civilians who fight back. That was wrong. You have since moved the goalposts to irregular military and partisans. I accept that where a defeated and occupied country is able to organise those with military training, soldiers who avoided capture etc, those have been defined as illegal combatants. In other words, you didn't know what you were talking about. But--to give you the benefit of a doubt--since you had Germans or Nazis in mind, you thought that it was nothing just for civilians to open up on them with impunity. In other words, you made a claim which was wrong and then you moved the goalposts. Lie. I am well aware if a French civilian shot a Nazi, they would be punished. And they were punished justifiably, more or less. I even gave you a citation per request about the Wilhelm List judgement from Nuremberg, which cites international conventions--Hague and Geneva most common in this context. Now, this judgement on behalf of the occupier might have gone differently if the victims were not Balkan and instead were maybe French or Polish, perhaps--let alone Jewish. The judgment might have also gone differently if the "evil occupiers" (aka "perpetrators") were not actually Nazis--but that does not nullify my point. 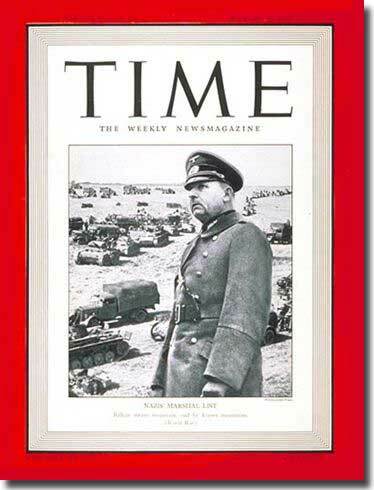 Field Marshall Wilhelm List also had a reputation of being afoul with the Nazi regime to some extent, which I am sure was an important Nuremberg journalistic nuance. He got the typical Life sentence but was also pardoned and released a few years later. For new people here is the full debate. This is so interesting it should be revised. Thank you Friedrich. Jew Berg is incapable of having a reasonable debate, he always resorts to personal insults and is quite clearly not the sharpest tool in the shed. Well Goody67, Eric Hunt clearly "lied" when he insisted that the Germans had been given orders in late 1944 to stop gassing Jews. There is no trace of any such order. Is the expression "shame on You" so egregious? I think not. When I call something someone says "nonsense," is that so egregious? I think not.